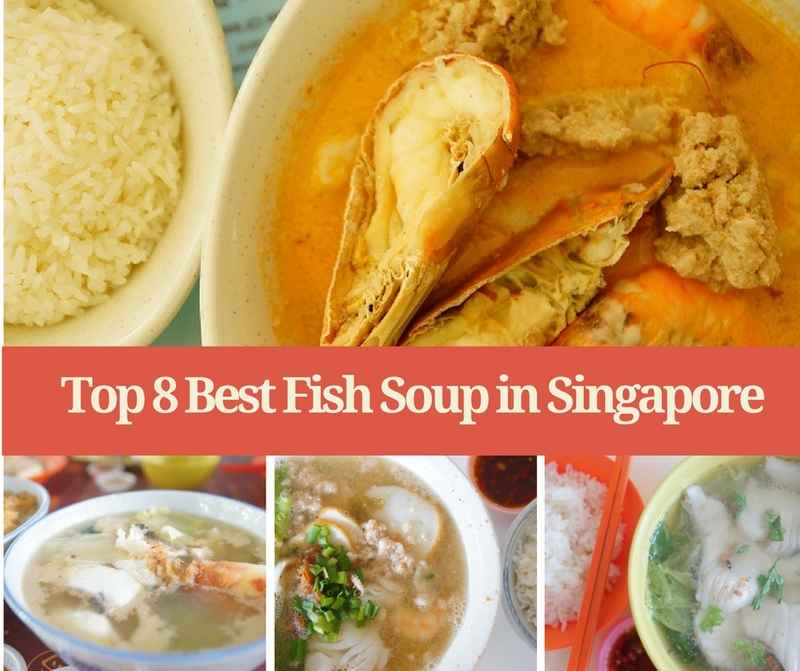 It has been eight months since we published the Best Fish Soup in Singapore, The Glutton family has never stopped exploring new places of good fish soup and now is the time to provide an update on our new discoveries! While we continue searching for the best, some may have to drop from our list to give way for the better one, this is our commitment to keep the list only for the Best. The Mackerel fish was fresh and cooked to the right doneness; the stock was perfectly seasoned to allow you enjoy the sweetness from the seafood. 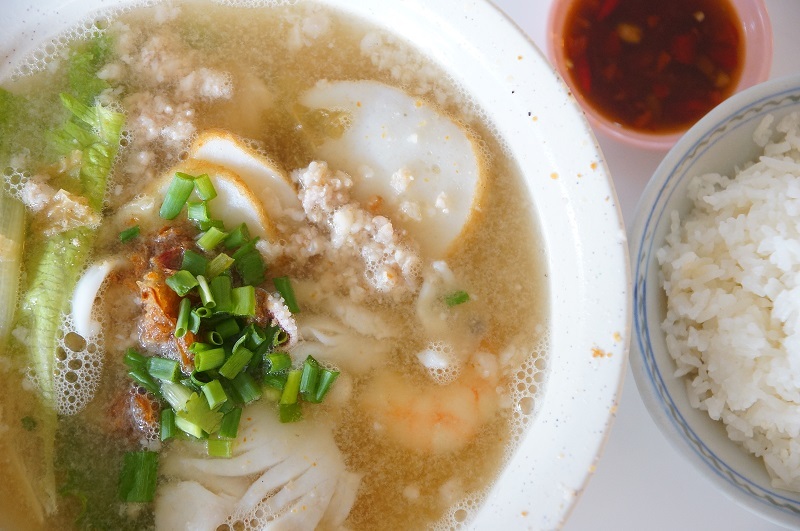 However, we strongly recommend you considering the extra minced meat version; the minced meat greatly elevated the overall taste to the next level and makes First Street Teochew Fish Soup one of the best fish soups we have tried so far. Hrs: Tuesday – Sunday, 8am – 3pm. Closed on Mondays. We love it with our first sip, the sweetness and freshness of the seafood completely infused into the broth and win our hearts over instantly. The real McCoy of the seafood soup was the chunks of minced meat, perfectly seasoned and packed of flavour, we bet you hope to have more. 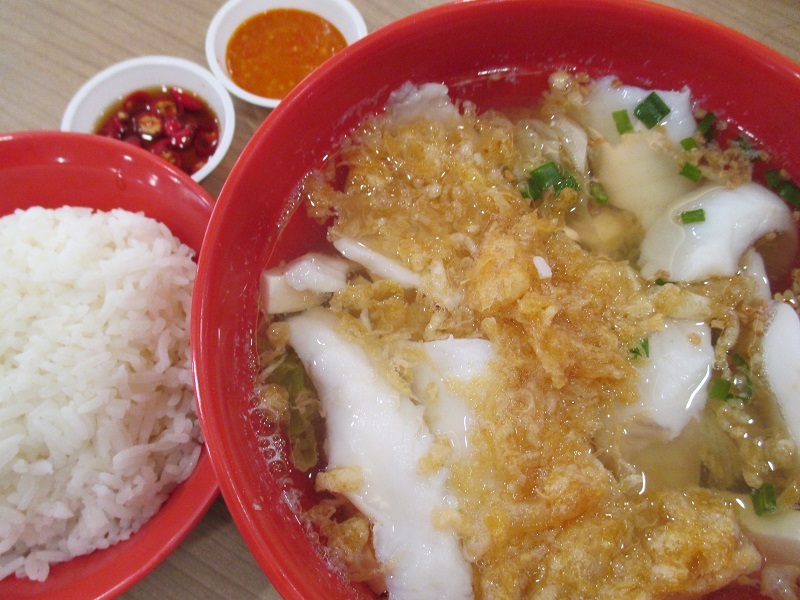 One of the best, the perfect medley of the natural sweetness and saltiness of the soup is extremely delightful with the freshness of the fish slice (Generous portion of fish slices as well) to connect the two seamlessly for an enticing bowl of fish soup. Mackerel fish is used and you can bet on the freshness. The soup was a tangy of sweetness and sourness from the seasoning. The flavour simply savoury, it is an unpretentious bowl of wholeheartedly made soup. 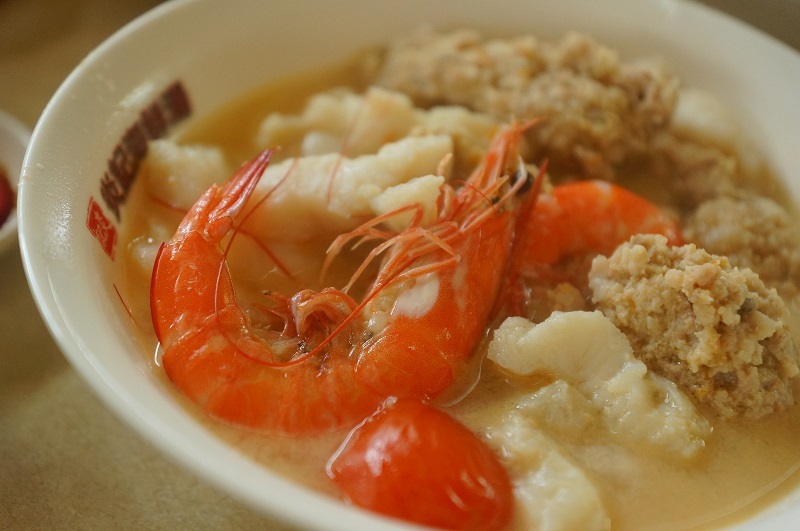 We believe good fish soup do not require too much of the window dressing, the ability to retain the natural sweetness and the original taste from the fresh fish slices should be the draw to win over the patrons. Seriously, we could be finicky but we got to admit it is an intricate task to find fault with the newfangled of the fish soup. Their attentiveness and meticulous work in making every aspect of the fish soup to perfection is highly praiseworthy. We especially like the fish slices here for their meticulous attention and efforts to uphold the quality; this is one of the very few fish soup stalls that have the fish skin completely removed to cut down the fishiness of the fish slices. Quality fish is used for the fish slice and never be stingy of the fish. Accompanying chilli sauce is just shiok! The stock from Yan Ji Wei Wei Seafood Soup is milky and served with only half of the bowl filled up. The soup is their secret recipe and every drop is preciously controlled, so don’t expect an extra spoon of soup from them. The soup was sweet and tantalizing; it has the complexity to create a flavour that can make ones get hook on it. 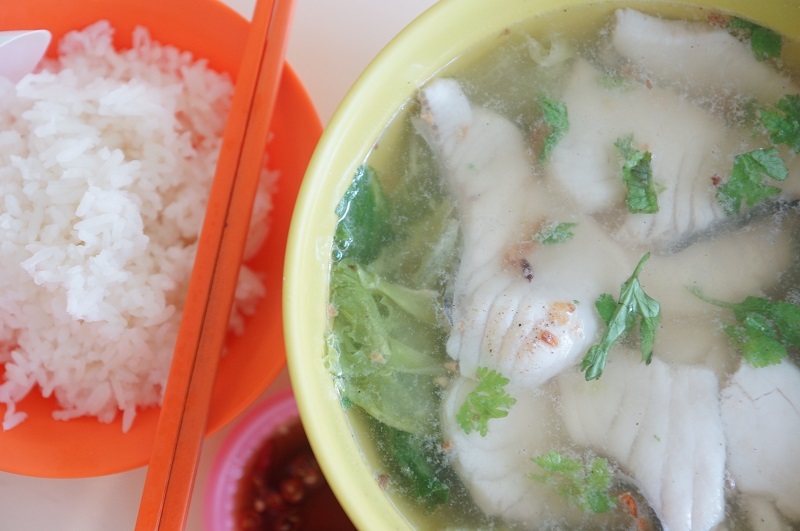 Bedok Ah Koon Fish Soup uses more expensive Batang fish than the cheaper snakehead for the fish slices. 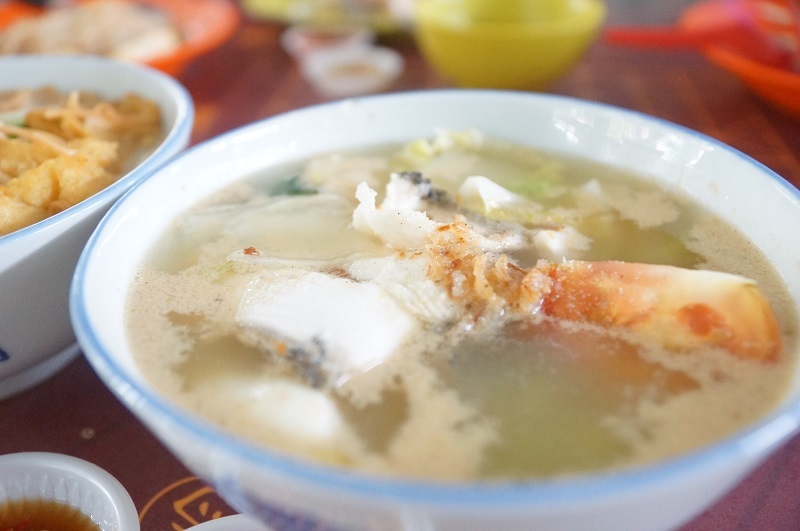 The portion of the fish slices were generous, each slices of fish were thickly sliced and had double to triple the thickness compared to other fish soup stalls, fish was fresh with the sweetness of the broth can be felt in every sip. Definitely one of the better fish soup we have tried so far. Bedok Ah Koon Fish Soup may be specialised in fish dishes and we have to agree they served fairly good fish soup, however, the meat ball soup was just equally phenomenal and surprisingly impressive compared to the fish soup. The meat balls were a mixture of minced pork, fish meat, carrot, Chinese celery, water chestnut and the spices. Each meat ball was packed with salivating flavour with a nice texture, the soup was infused with the additional sweetness from the meat balls and highly recommended dish to order. There is one at Newton hawker centre stall 20. Orange colour bowl. Their fish soup superb. The one facing the carpark. Adrian, thanks for the recommendation, shall try one of the days. Leng kee seafood at Bukit timah market. Best and fresh and cheap! Jalan Berseh Food Centre “Mei xiang”! Its always long q but they serve very quickly!!! Generous fish amount ! Noted and we surely give it a try one of the days. Thanks for the information. Audrey, actually most of the readers will vet thru the review first to have good understanding of the food quality before heading down to the stall. Looks like you trust our picks and don’t want to go thru the contents. 🙂 anyway, We will consider to add the address to the post in future. Thanks for the feedback. 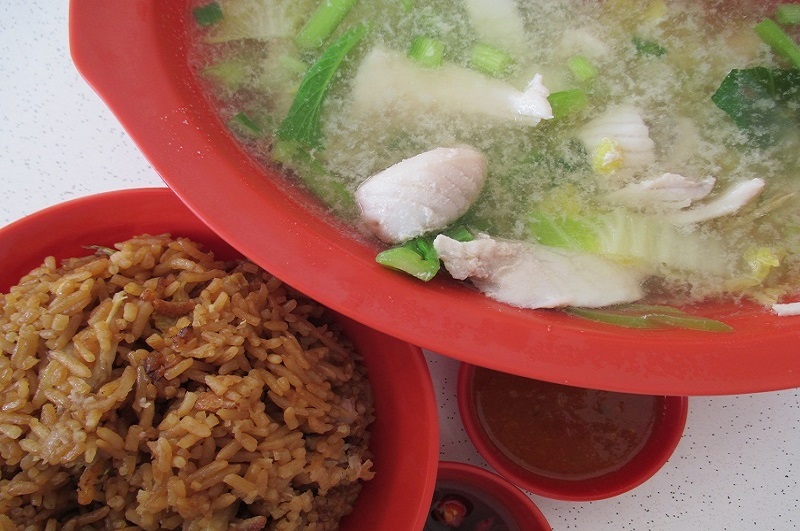 What about Blanco Court Fish Soup at Aliwal Street? There is always a long queue for that one during lunchtime and its really good. I’ve eaten it everyday for two months straight. Lily, we will check it out. Thanks for the note. Ok noted, we will take note and check it out next round. Thanks! 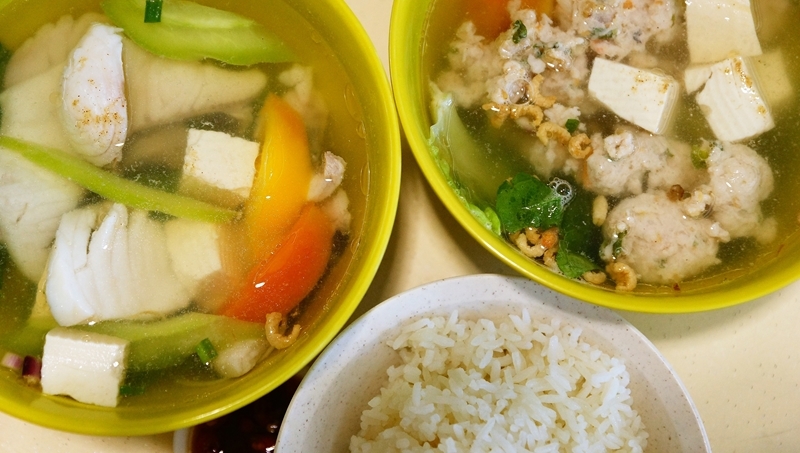 Hi, you can try out Fan Ji Yu Zhou at Hong Lim Food Center! It is always long queue, the soup is tasty and they give a lot of fresh fish! Yu Le (鱼乐) at Blk 177 Toa Payoh Central. It’s so good I eat it almost everyday lol. Must try. Thanks for the note and we will try one of the days. Noted, will try one of the days, by the way, you have the address? newly opened fish soup at amoy street food center 2nd floor, name is Doris Seafood. truly a gem, must try!! Ok, thanks for the info, will check it out. 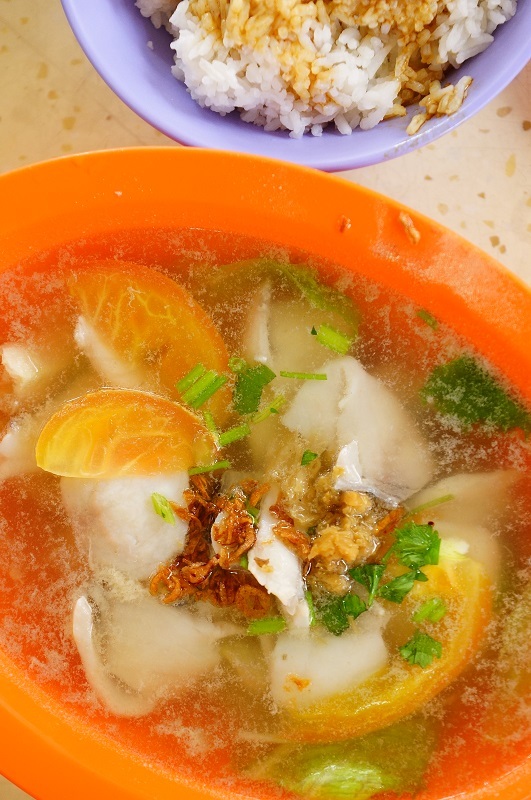 Shall try jalan kukoh market fish soup, there are two stalls with great broth, both had 20years experience. 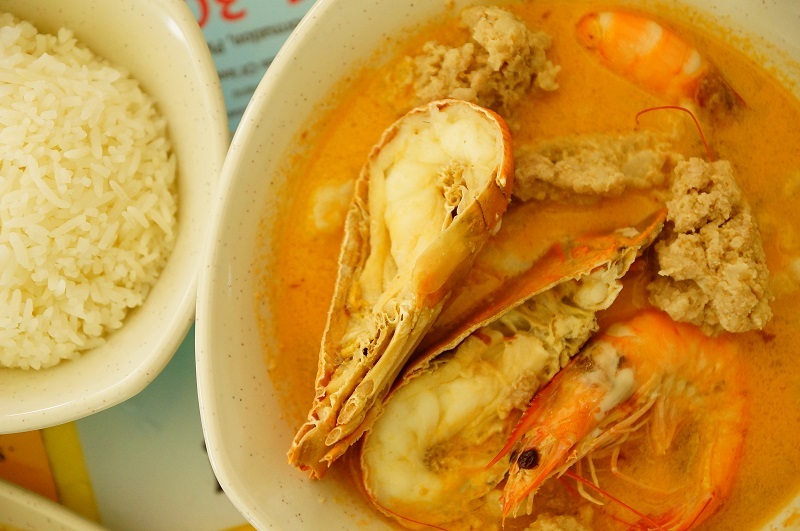 Go for the one with the orange bowl(skinny auntie), and add fresh prawns and it only cost you $5 to $6. Their generous portion is the most in Singapore, I have tried all your recommendations but none beat the price and the quality. Very hidden gem. Thanks for the info, do you have the exact address as we are very keen to find out more? Japan kukoh blk one. Opens on weekdays, normally opens from 10am to 2pm only. Where Yan ji Wei Wei move to, I saw one stall name Yan Ji at kallang airport. But dun think is the one…. Benson, the one at Kallang airport hawker centre is their latest branch.